Fiber enclosure is used as patch panels or splicing enclosures, available in both rack and wall mounted applications. There are many types of enclosures offering various functionality and capacity. 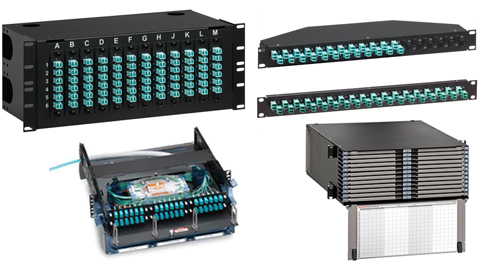 We have a wide variety of fiber enclosures for all your project needs, including rack- and wall-mount, 1RU to 10RU, zero-U, high density, and application-specific models. The patch panels use splicing cassettes / trays for pigtail splicing, adapter plates for different types of fibers and connector types. Some of the rack mounted enclosures incorporate added feature of sliding tray to make installation and maintenance easy. Some enclosures also include integrated cable management.